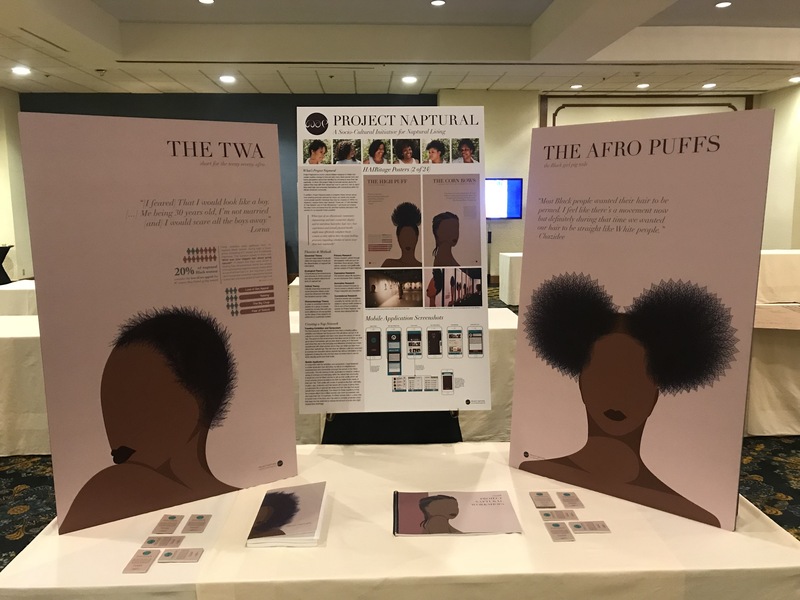 This week, I presented a few posters on Project Naptural at the Annual National Conference on Race and Ethnicity in American Higher Education (NCORE), which serves as the leading national forum on issues of race and ethnicity in American higher education. NCORE emphasizes the intersection of race, ethnicity, gender, religion, and class with campus programming and the cultural environment. 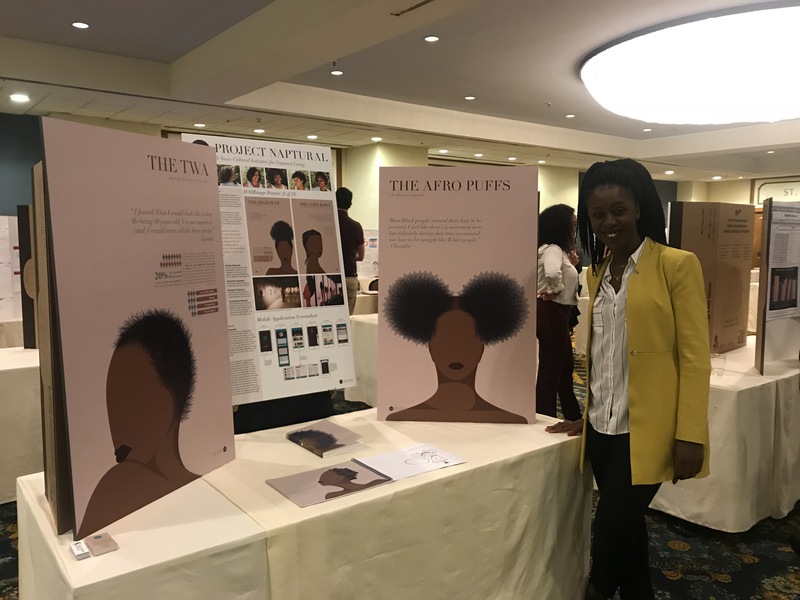 The conference is designed to provide a significant forum for discussion, critical dialogue, and exchange of information as institutions search for effective strategies to enhance access, social development, education, positive communication, and cross-cultural understanding in culturally diverse settings. 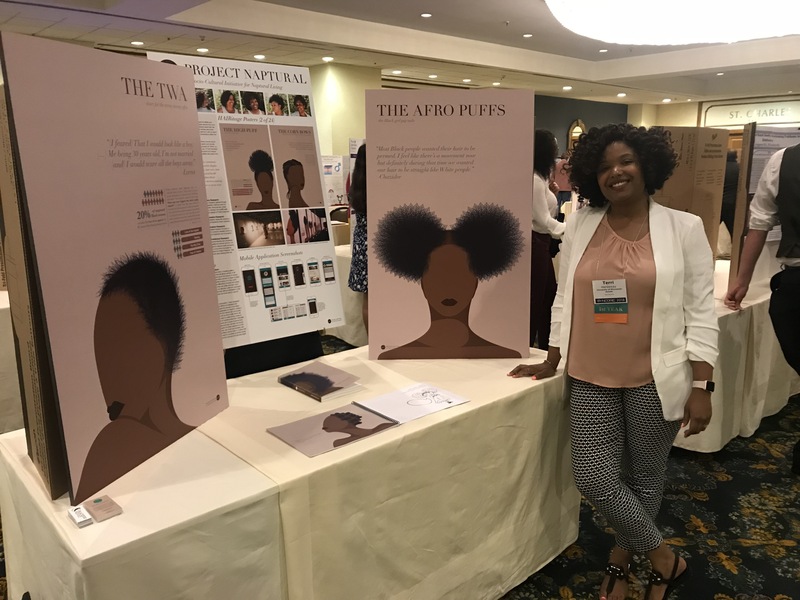 My work was shown on Thursday, May 31’s Poster Session on the Third Level of the Hilton New Orleans Riverside, in an area called “The District.” I was glad to be accepted into the conference not only to display my work, but make some new connections, hear from some amazing creatives doing great things as activists, and to partner with organizations to help further positive change in our communities. Below is a photo of me and Sandra, co-facilitator at the Project Naptural Workshops.